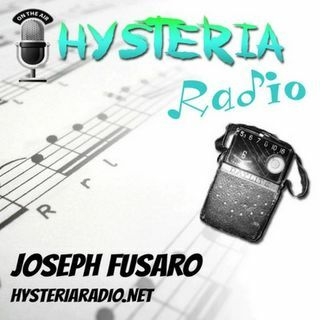 Writer, Musician, and Founder of Cope Notes, Johnny Crowder comes by Hysteria Radio before he hits the road with his band Prison. Some of the topics they discuss are writing out your pain, following your passion, and the eye-opening realization that family and friends often feel our pain when we are struggling, they just don't know what to do to help. It is worth a listen and a share. Bio: Johnny Crowder is a touring musician, speaker, comedian, writer, and full-time human based in ... See More Tampa, FL. Armed with unconventional wit, a psychology degree, and 25 years of lived experience with mental illness, his advocacy efforts through his bands (Prison and Dark Sermon) and his SMS service (Cope Notes) have touched millions of hearts across the globe.